We reproduce below the obituary written on the occasion of the demise of prominent Russian communist activist, Viktor Anpilov, by the All Union Communist Party of Bolsheviks, and add our own condolences to all his comrades and friends in struggle. On January 15 at the age of 72, the leader of the movement "Trudovaya Rossiya" Viktor Ivanovich ANPILOV, one of the most prominent representatives of the communist movement in the USSR during the period of bourgeois counter-revolution, an outstanding political and public figure of that period, died. He was an excellent orator, a talented publicist, who managed to attract masses of people. Victor Anpilov was the initiator and active participant of the protest movement. In October 1993 in Moscow he was one of the organizers and participants in the confrontation of Yeltsin’s power with the television center Ostankino and the House of Soviets. After the storming of the House of Soviets, he hid in the Tula region, where he was arrested on October 7, 1993. In the years 1997-98, he organized several national marches onto Moscow under the slogans of the resignation of President Boris Yeltsin and his team and for the revival of Soviet power and socialism. Victor Anpilov graduated from the Faculty of International Journalism of Moscow State University, several times he went abroad, speaking at Communist symposia in Brazil, Cuba and Nicaragua. He spoke Spanish, Portuguese and English. From 1990 to 1993 he was a deputy of the Moscow City Council, he was a member of the “Moscow” faction. In 1991, he took part in the creation of the RKKP, (Russian Communist Workers Party (RCWP) from which he later left in 1996, and led "Trudovaya Rossiya" movement created by him. In September 1997, he participated in the creation of a coalition called the Front of the Working People, the Army and Youth for the USSR. He published the communist newspaper Molniya, which he founded in 1990 as a publication of the Movement of the Communist Initiative. 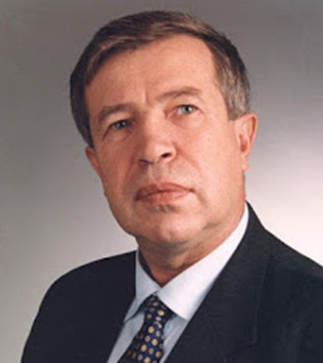 Victor Anpilov was the author of books of memoirs "Our struggle" (2002) and "Comprehension of freedom" (2010). We express our deep condolences to the relatives and friends of V.I. Anpilov and everyone who spoke and worked with him. The memory of this benevolent, sympathetic person with a fiery and open heart, a real communist and patriot will always remain with us.